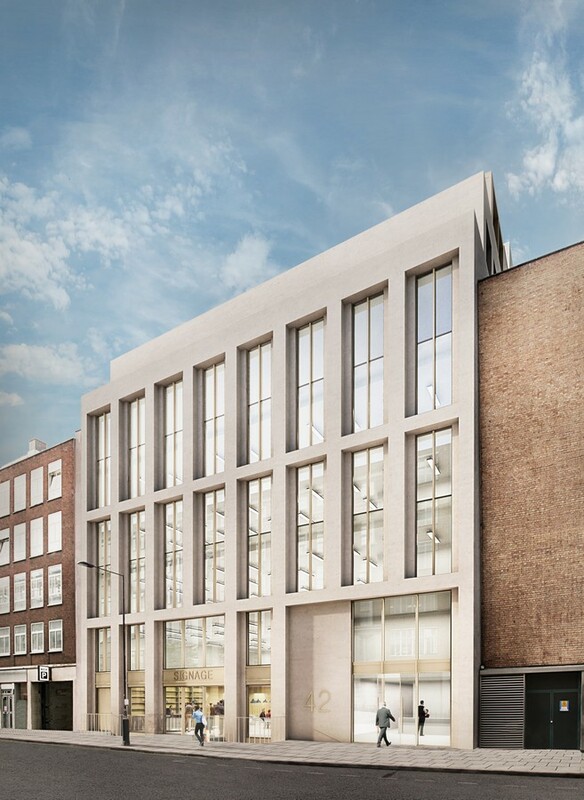 42 Berners Street, a 36,500 sq ft office and retail building for The Berners-Allsopp Estate and a separate residential building at 18 Wells Street approved by City of Westminster planners. 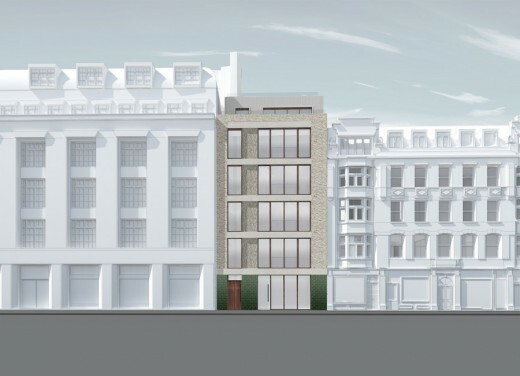 BuckleyGrayYeoman and Rolf Judd Planning has secured planning consent for the construction of 42 Berners Street on behalf of The Berners-Allsopp Estate in Fitzrovia, London. 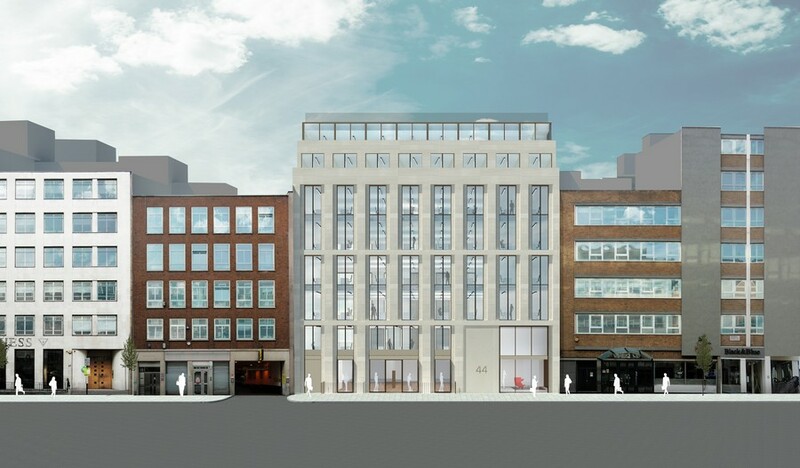 The project will replace two buildings at the northern end of Berners street, delivering a major uplift in area, from 17,500 sq ft to 36,500 sq ft (GIA). Office space will occupy the first to seventh floors, with a double-height restaurant or retail unit on the ground and lower ground floors, in line with Westminster’s aspiration to encourage a mix of uses in Fitzrovia. 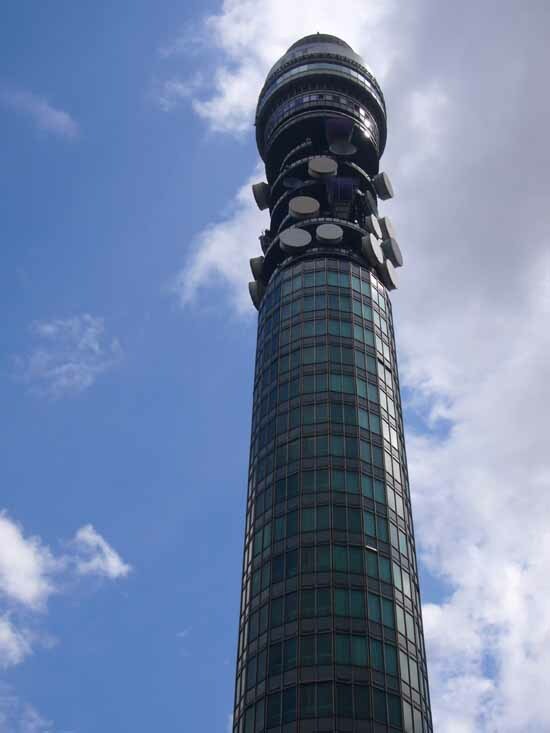 The building sailed through the planning process in Westminster, with no objections recorded against the design. The planning consent also gives permission for the demolition and rebuilding of 18 Wells Street to provide a five-storey residential building, split into a retail unit at ground floor level, three two-bedroom apartments and a duplex penthouse, which will provide a residential offset for the uplift in office space at 42 Berners Street. “42 Berners Street will be an exceptionally high quality building that will really set the bar for subsequent redevelopment in Fitzrovia. The building will be constructed of two beautiful varieties of natural Portland Stone and carefully detailed to produce a contemporary building that delivers a real improvement, both for the building owners and the community of Fitzrovia. BuckleyGrayYeoman was appointed by The Berners-Allsopp Estate in Spring 2014. 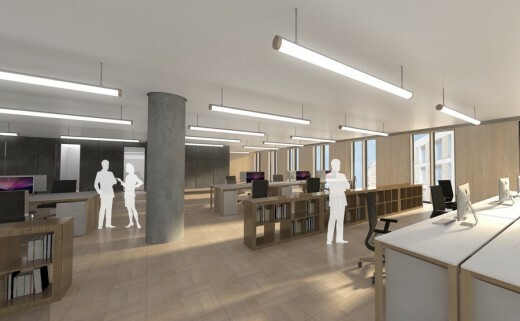 The proposals are to demolish two outdated office buildings that presented little potential for retrofitting due to their low ceilings and the difficulty of bringing them up to modern office standards. BuckleyGrayYeoman’s design dramatically improves the streetscape. 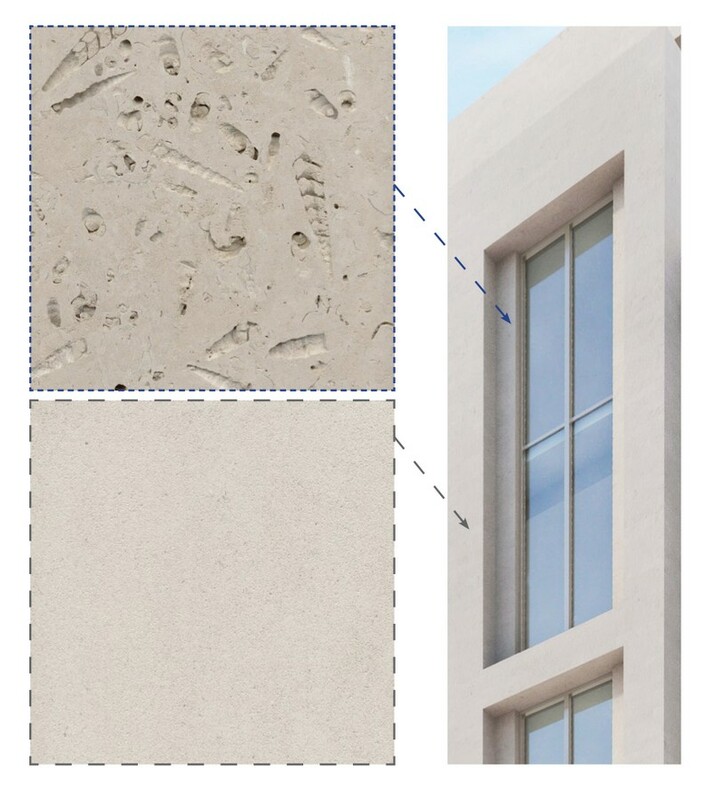 The façade will be constructed of high-grade solid Portland stone from the Jordans Basebed, with contrasting window setbacks that feature panels of Roach Bed Portland stone that is visibly filled with the shells of turreted gastropods. The depth of the window and door reveals means that the building has a monolithic, sculptural quality that gives it a quietly assertive presence on the street. The upper two storeys step back from the street to create full length outdoor terraces for office tenants. 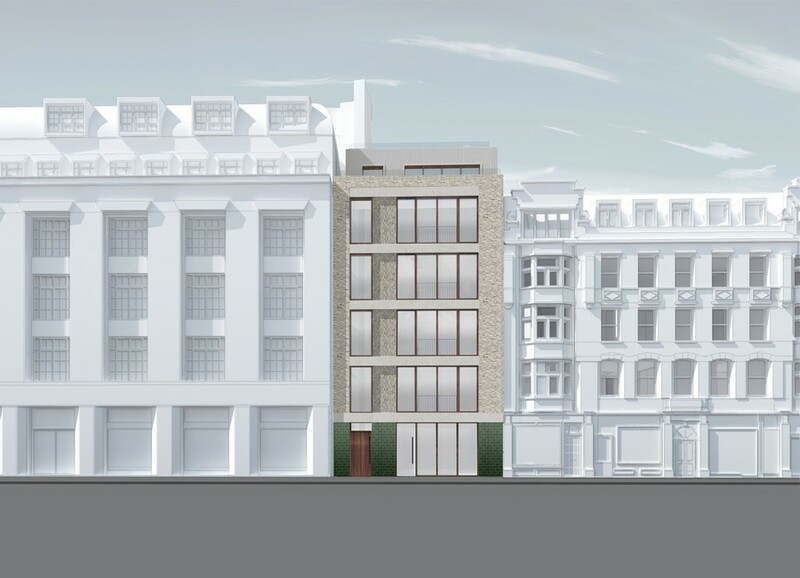 The rear elevation of the building has been detailed with equal care, to be built of light-coloured brick to provide a pleasing view from the buildings directly behind. Cantilevered terraces on the rear elevation provide each office floor with outdoor space. Windows throughout the building feature pale brass and grey window frames. 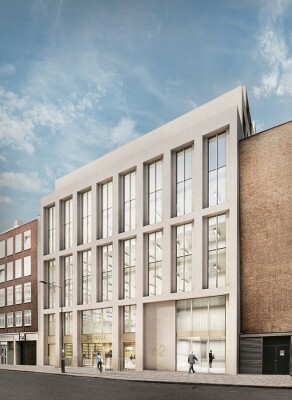 In a move that BuckleyGrayYeoman feels sets a new standard, 42 Berners Street is to offer exceptional cyclist facilities, with a cycle workshop for users of the building that provides workstands, benches and communal maintenance equipment. 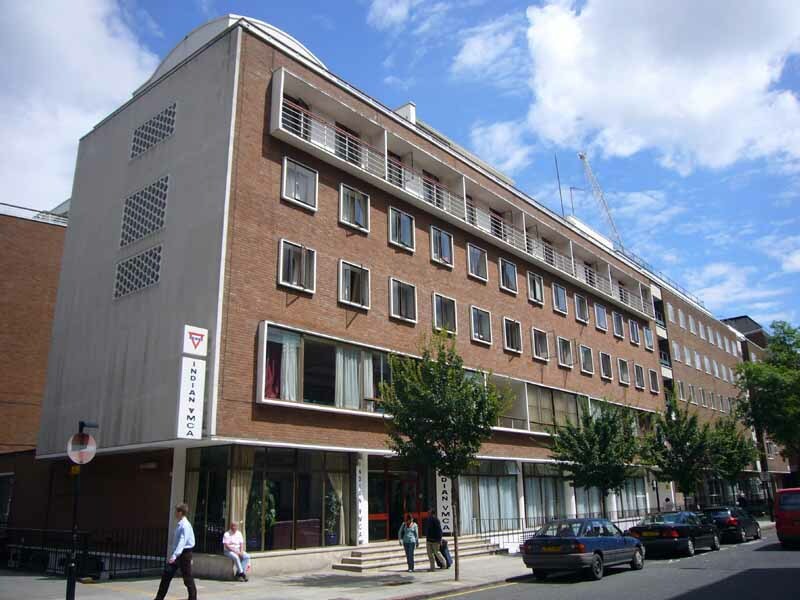 This is accompanied by 40 secure cycle parking spaces in the basement, comfortable shower and changing facilities and drying rooms for hanging wet clothing, plus WC’s. 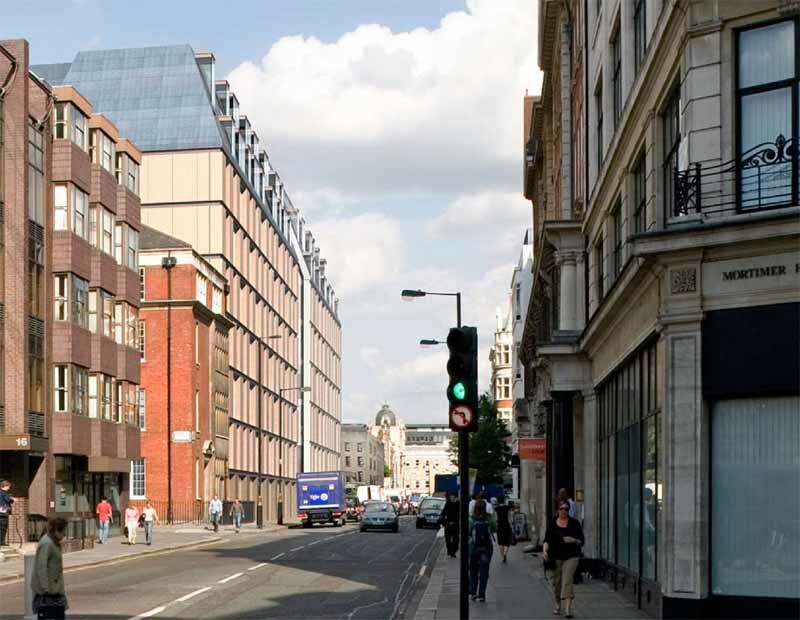 At 18 Wells street, BuckleyGrayYeoman will demolish a four-storey 1960s office building and replace it with a five-storey residential building, with a retail unit on the ground floor, divided into three two-bedroom apartments and one duplex penthouse. Each apartment will have its own private balcony to the rear and secure bicycle parking on the ground floor. 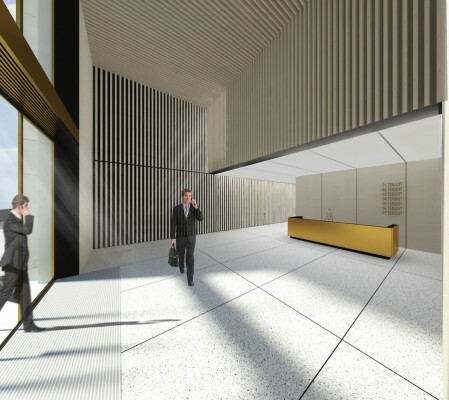 The façade of 18 Wells Street will be elegant and contemporary, clad in light brick laid with varying orientations and bonds to articulate the façade. Concrete lintels span the window bays adding further visual interest. On the ground floor, green faience-glazed bricks will provide a hardwearing finish that differentiates the use of the shop. Timber-framed full-height windows with Juliette balconies face onto the street. Both projects will go on-site in June 2015, with completion scheduled for the first quarter of 2017.